When Englewood drivers want a luxury model for a cheaper price, opting for a Certified Pre-Owned Jaguar is a great idea. At Jaguar Paramus, you can steal yourself at Certified Pre-Owned Jaguar XE and be the talk of the town. This model offers a vast amount of technology and an incredible style, which is just what you need to experience excitement. A Certified Pre-Owned Jaguar XE is a great choice because it allows you to reap sophistication on the Saddle River road while also saving money. Certified Pre-Owned models must go through extensive inspections to ensure they’re safe and reliable, and they’re also priced to sell. Plus, since Jaguar knows how to build vehicles, you can rest assured you’re getting a vehicle that meets—or exceeds—your standards. The XE delivers sedan drivers just what you want in a model and more. 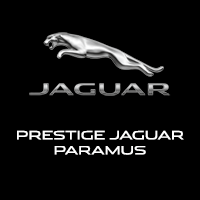 Jaguar Paramus has a large inventory of models for Bergen drivers. If you want to explore our impressive Jaguar inventory, or learn more about our vehicle specials, visit our showroom at 405 NJ-17 in Paramus, NJ, or contact us at 201-977-2197 to talk with one of our representatives.